Keep weeds at bay in your garden with a pretty blanket of snowy white flowers! Tightly knit plants cover bare soil quickly and without fuss. Flowering initially in spring, alongside spring bulbs. 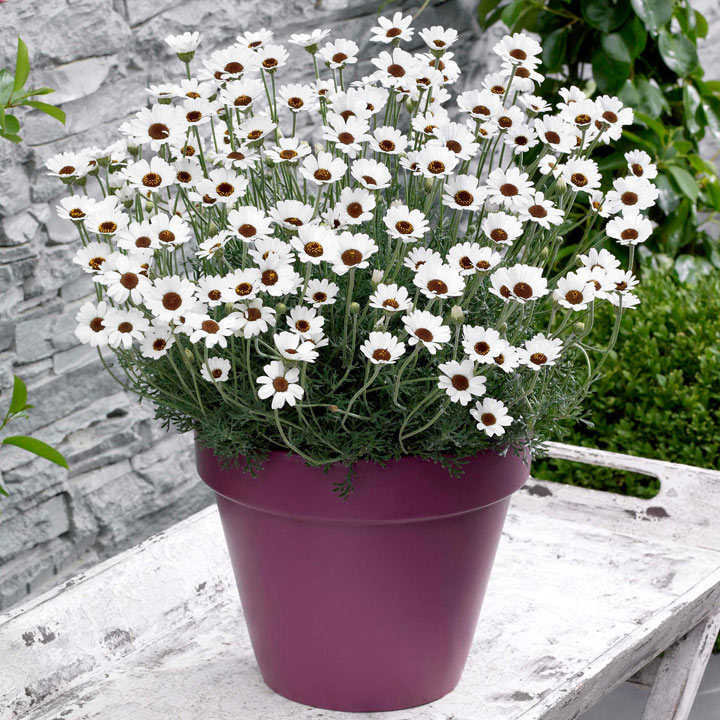 Then, after a summer rest, your Moroccan Daisies will bounce back for a late show, with flowers persisting well into September. Flowers twice a year- in spring and late summer! 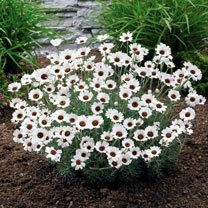 Tough, drought tolerant and unforgiving- what more could you want from a plant? Flowers March-May, August-September. Height 20-30cm. Supplied in 9cm pots. Beat the weeds with some Moroccan Daisies!